One sourpuss's thoughts on all things sweet. As a former professional model and performer dealing with a new chapter of life with auto immune disease, I try out what works for me and what doesn't. 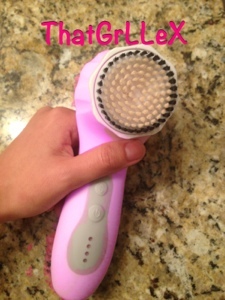 Lets talk about the clarisonic. Are you skeptical? It's okay I was too once upon a time. I thought it was a giant electric toothbrush for your face and a total waste of money. I got one as a gift December 2012 and thought well lets give it a run and see if anything transpires. I got the Prosonic. The name brand isn't the quality thing here. What you want is for it to oscillate (spin) fast enough and not jerk when it's spinning. You also want a brush that polishes not scratches you. I used the sensitive for about two weeks. Feels like a sand blaster and made my face feel tender for a almost two weeks. I finally got used to it and I did purge but not much. A few white heads and pimples but it cleared up really well on its own. The really improvement wasn't until about three months later. This product isn't necessarily for clear skin actually that's the least of its capability. I mean it's definitely cleaner than doing it by hand, but it's not a facial by any means. The real improvement is that the texture of your skin becomes refined allowing products to be absorbed not just sit on the top layer. For me that would be coconut oil. It softens lines and rough or uneven texture. The thing about collagen that most people don't know. Real collagen you produce on your own diminishes over time but can be built up again by things like chemical peels and lasers or something abrasive to the deeper layers of skin. Basically some irritation has to happen to the deeper layers most creams can't reach. The oscillating face brush + oil doesn't deliver results over night but I definitely have had a change in my skin's texture and collagen especially in the cheek area. It's almost like a thicker skin has been built. I also use it on my body. Did you know cellulite isn't about fat? It's the breakdown if your skin's cell structure. It's lacking collagen, structure and water. 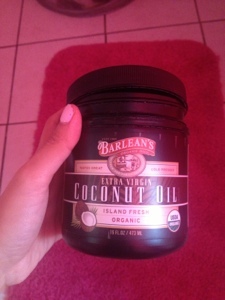 I started using it on my legs and chest (for stretch marks). It doesn't get rid of anything but it does help a lot with continued religious use. I like to use coconut oil from head to toe after using the brush on my face and body. 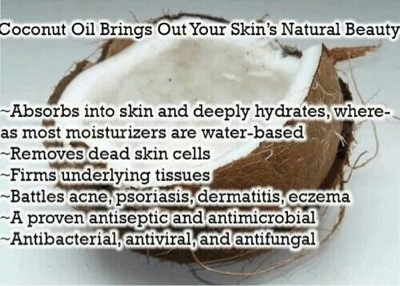 Coconut oil is super moisturizing and has antibacterial properties. It helps in keeping your skin soft, moisturized and helps with eczema and acne because of its antibacterial and healing properties. I jumped on the coconut oil bandwagon two years ago. It really is amazing for hair and skin. Topically or ingesting can really help with cellulite, acne and general aging issues. I'm not against plastic surgery but I believe that it can be saved for a more needed time. Also coconut oil is very inexpensive considering all its uses and can be found in most grocery stores since it is actually used for cooking. However, it has to be food grade, organic, cold pressed and used every day. It has replaced shaving cream, leave in conditioner, body lotion, and face moisturizer. All for $8 dollars per container! I'm 33 and spend every day without makeup unless it's a special occasion. I am now a believer in the face brush hype. Maybe not for what they advertise it as but it is definitely a winner for me. 2009 pcp (c). Ethereal theme. Theme images by merrymoonmary. Powered by Blogger.